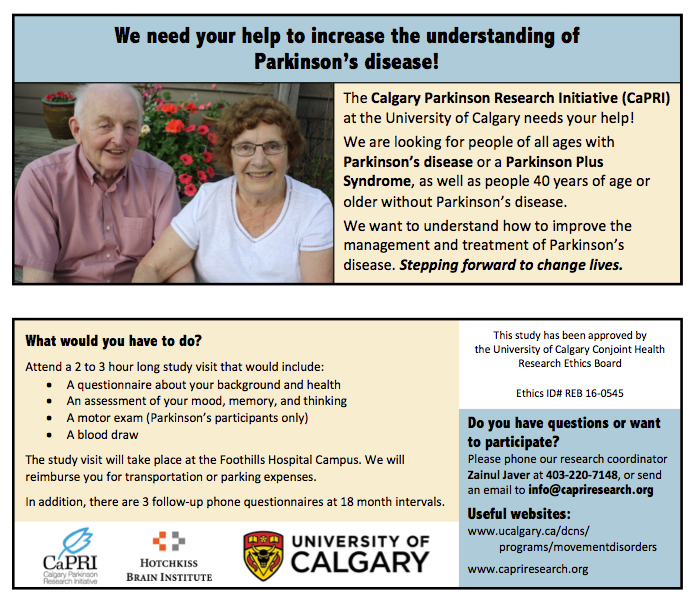 Dr. Oury Monchi's lab has been a pioneer in using different neuroimaging techniques to study the origins and evolution of cognitive deficits in Parkinson's disease with the ultimate goal of early prediction of dementia in the disease. Interactions between cognitive and neuropsychiatric symptoms are also being studied. In addition, non-medication therapies such as transcranial magnetic stimulation and cognitive training are also being explored. Methods used include functional and anatomical MRI, TMS, PET, neuropsychological evaluations, and genotyping. compared to other people your age? 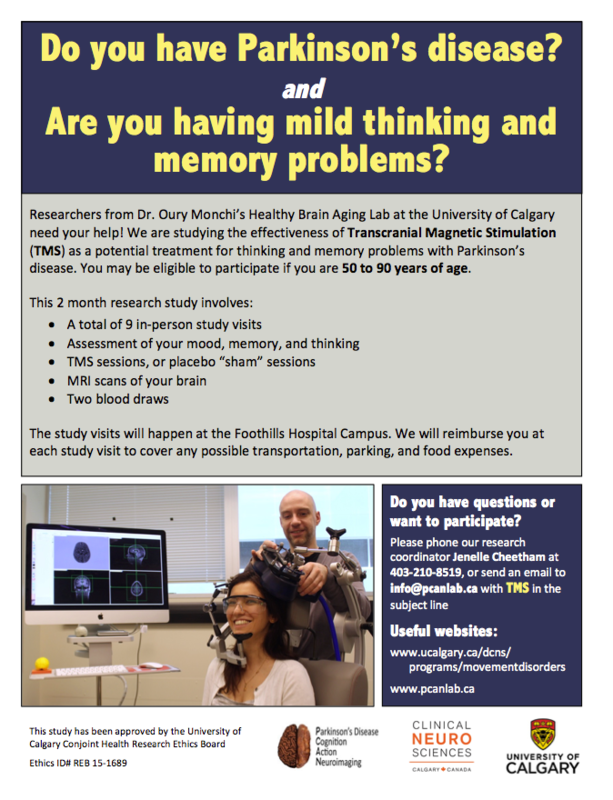 The University of Calgary, together with the Hotchkiss Brain Institute, are conducting an observational research study and an intervention study using Transcranial Magnetic Stimulation (TMS) under the direction of Dr. Oury Monchi. 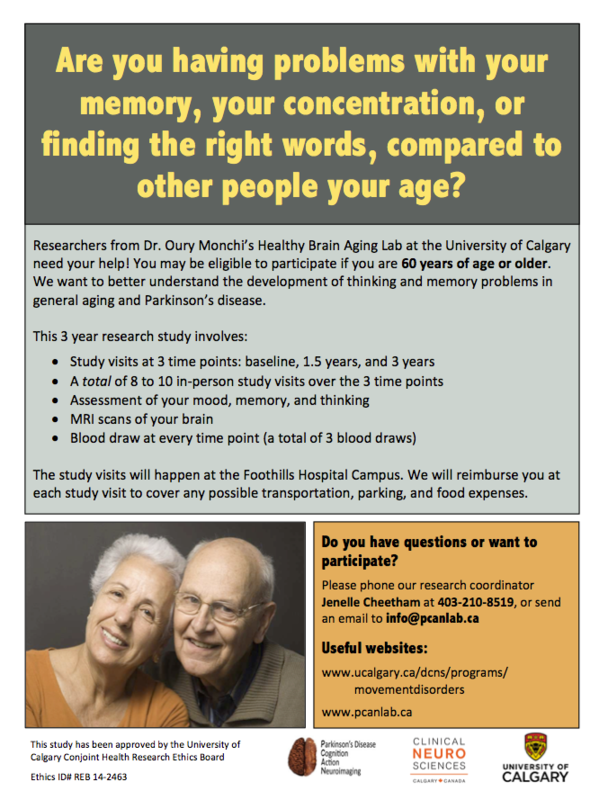 We are looking for qualified Masters and Ph.D. students as well as Postdoctoral Fellows. See our Opportunities page for more information.